Original AC/DC singer Dave Evans claims to have been dropped from the ‘Long Live Bon Scott’ tribute show due to pressure from the Bon Scott Foundation. Empire Touring, the promoter of the ‘Long Live Bon Scott’ gig, confirmed with Undercover.fm that it got political after news broke that Evans was going to be in the show together with Angry Anderson (Rose Tattoo), John Swan (Swanee), Dave Gleeson (Screaming Jets) and Mark Gable (Choirboys). Ex-AC/DC bass player Mark Evans is also due to play at the gigs in Melbourne, Wollongong and Sydney from late May. “People from the Bon Scott Foundation we kicking up a fuss,” he said. What do they matter?. I’ve still got fans telling me how great it is to see me in the show even though I have said I am no longer in it on my Facebook”. The ‘Long Live Bon Scott’ tribute shows are not connected with the gigs that will feature ex-AC/DC drummer Simon Wright and ex-AC/DC bass player Mark Evans. Tour dates for those shows are to be announced soon. 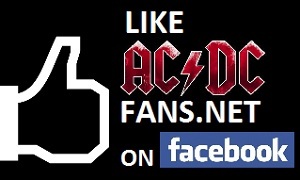 Read more AC/DC news in the AC/DC forum.